The University of California has selected this year’s recipients for the UC Smoke- and Tobacco-Free Fellowship Program, as part of an ongoing effort to foster the next generation of leaders passionate about combating the adverse impact of tobacco products. Eleven UC Smoke- and Tobacco-Free Student Fellowships of $12,000 each have been awarded to undergraduate and graduate students pursuing projects aimed at reducing the health hazards of smoke and tobacco systemwide and supporting campus policy-oriented efforts. “These fellowships represent UC President Janet Napolitano’s commitment to developing future leaders who are dedicated to promoting healthier communities,” said Dr. Michael Ong, chair of UCLA’s Tobacco-Free Task Force and chair of California’s Tobacco Education and Research Oversight Committee. UC Berkeley: Patton Nguyen will assess marijuana and tobacco’s second-hand smoke exposures and effects in indoor environments, while advocating against them in the Cal community. UC Davis: Marissa Greenband’s project is a multifaceted approach to improving the campus’s smoke- and tobacco-free program while expanding it further into the Davis community. UC Irvine: Anna Pushkin will explore the impact of adolescent cannabinoid and nicotine exposure. UCLA: Vennis Hong will study those who smoke on UC campuses and the efficacy of the UC system’s Approach, Inform and Refer (AIR) technique in reducing policy violation. UC Merced: Andrea Lopez will explore how to reduce tobacco use by preventing the initiation of e-cigarette use among college age students. UC San Diego: Althea Han’s project is focused on a universitywide education campaign on tobacco harm. UCSF: Yelena Ionova and Natalie Yates will collaborate to pursue increased tobacco screening and cessation counseling in primary care clinics at UCSF. UC Santa Barbara: Kristine Doppelt will seek to determine the characteristics of smoking policy violators, and to give smokers a voice in advancing UC’s goal of reducing smoking and increasing policy cooperation. UC Santa Cruz: Crysta Bullard’s project will seek to determine which UC smoking policy enforcement strategy is most effective. “UC and California have been leading tobacco control efforts on a national and global level. We are excited to support students through these fellowships, building on the work of the inaugural fellows, to help ensure and promote a smoke- and tobacco-free environment at UC,” said Ong. The university is a national leader in health care and environmental practices and continually works toward a healthier and safer environment for the campus community. 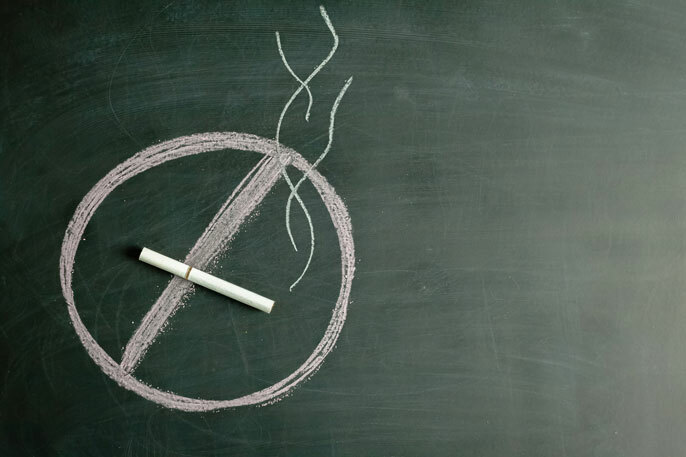 In 2014 UC implemented a systemwide smoke-free policy on its 10 campuses. The UC Smoke and Tobacco-Free Systemwide Task Force is sponsoring the program through support from the Office of the President. For more information please visit: http://www.ucop.edu/risk-services/loss-prevention-control/uc-smoke-tobacco-free.html.